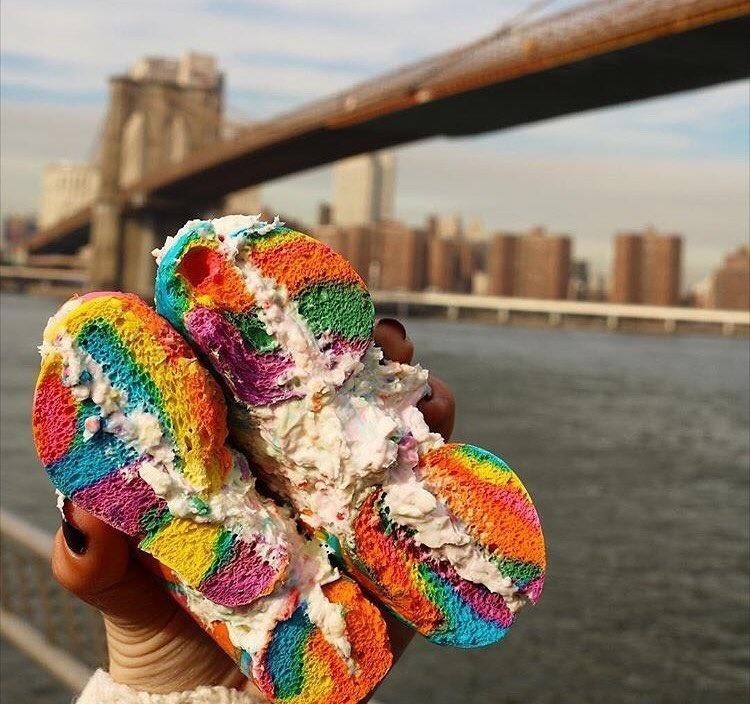 No doubt you internet-savvy folks have seen the incredibly beautiful rainbow bagel going viral all over the country—and if not, let me educate you on its multicolored brilliance. Crafted by the brilliant bakers at The Bagel Store in Brooklyn, this cheery creation has actually been around for 20 years now. Watch the video below to see how the colorful roll is created. The process of creating bagels isn't a simple one, even when dealing with your average, run-of-the-mill variety. According to Serious Eats, even a regular homemade bagel involves making a yeast dough, letting it rise, boiling the hole-y rounds, then baking until they achieve just the right chewy texture. 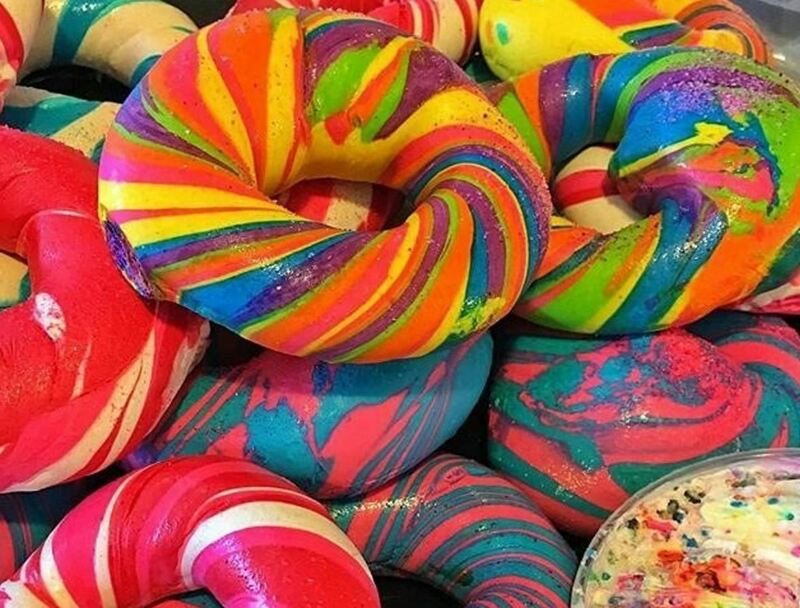 So you can only imagine how much time and effort goes into the manufacturing of a multitude of the multilayer, multi-chromatic rainbow bagels. 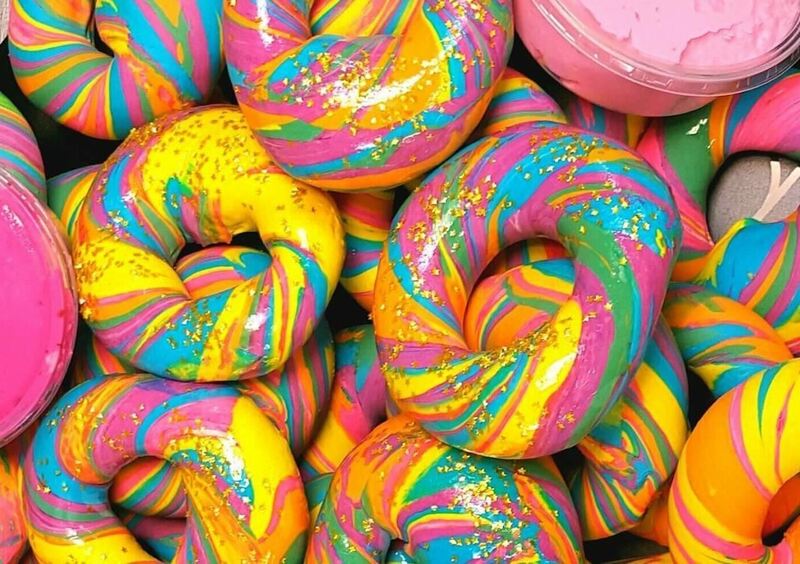 It's no surprise that the owners of The Bagel Store have become media darlings, and now there are requests for their rainbow bagel from all over the country. You may be wondering what all the fuss is about... but just one look at this eye-popping brunch staple should put those questions to rest. 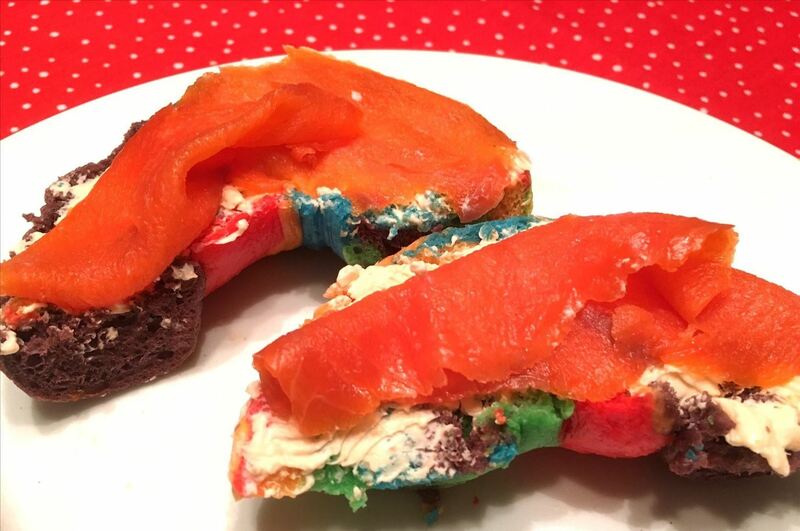 But there's more to the rainbow bagel than just, well, the bagel itself. 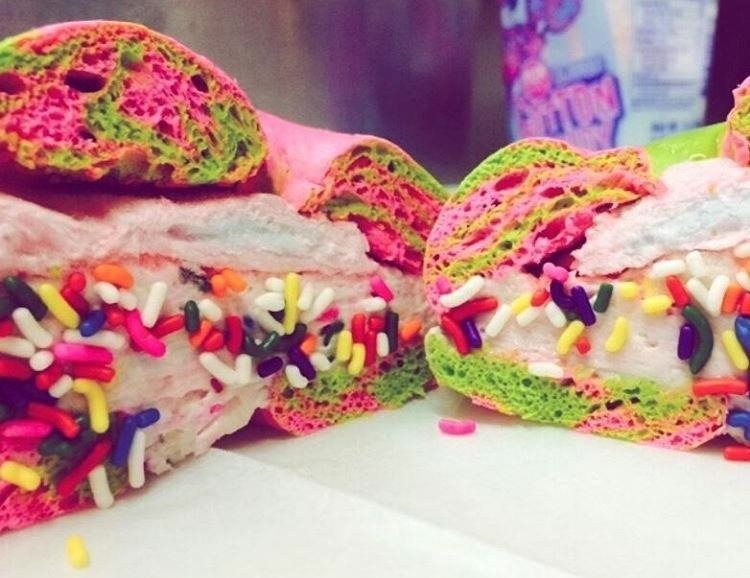 Behold the rainbow bagel with its natural companion and soulmate: funfetti cream cheese! 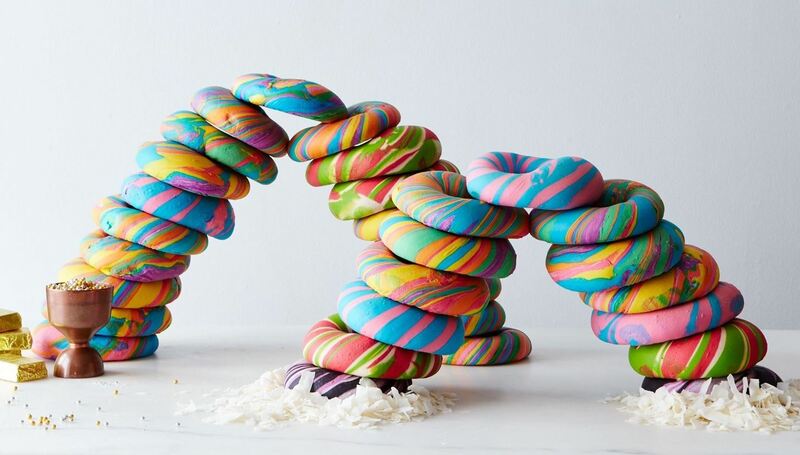 The clever folks at Food 52 even created a rainbow of rainbow bagels with the proverbial pot of gold at its end! If you want to make your own rainbow bagels, Vancouver food blogger Karen K. Lee has step-by-step instructions for making the vibrant bread from scratch. She even tops hers with lox and savory cream cheese (just because the bagels are rainbow-colored doesn't mean they're sweet)! 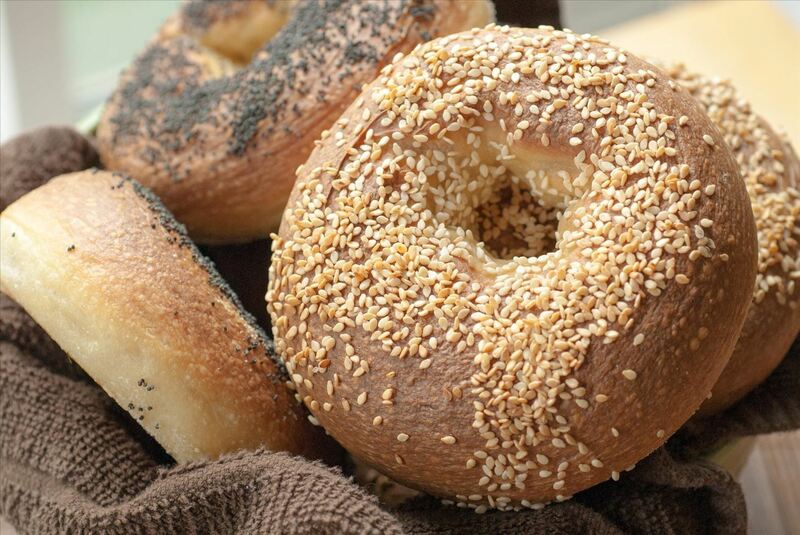 Bagels are time-consuming to make, rainbow or no rainbow. 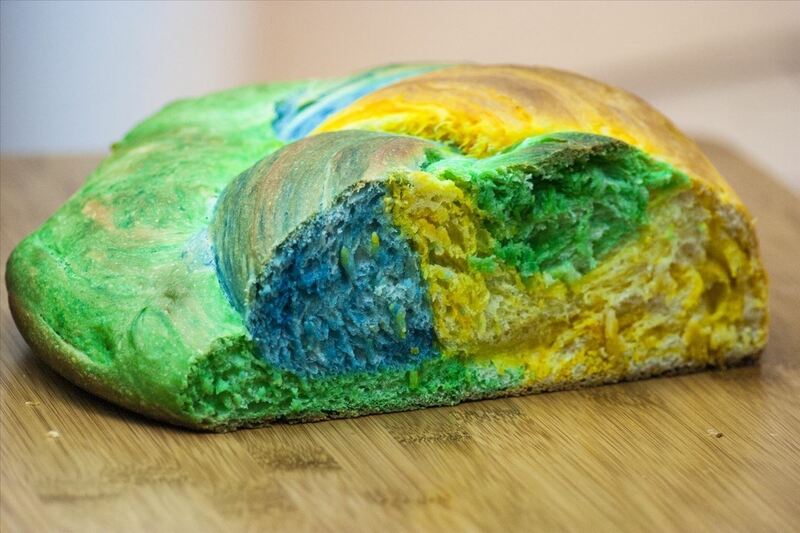 If you still want some baked rainbow in your life, we've got an awesome guide for making rainbow bread that will satisfy your colorful cravings! Breaking news: As of last week, one of the The Bagel Store's two locations has shut down for "maintenance." According to Marketing Coordinator Francine LaBarbara, this is truly a temporary closure while they adjust to their newfound fame and find a way to satisfy the long lines of customers eagerly awaiting a culinary encounter with the colorful treat. If anything, this will just make people even more determined to get a hold of these elusive bagels... so if you're in NYC, get ready to line up for even longer waits.